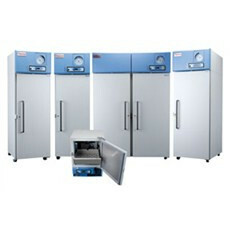 Thermo Scientific™ Revco Plasma freezers feature microprocessor control for simplified operation and greater accuracy. Their -30°C plasma freezers are designed to meet AABB, ANRC and FDA standards for safety and performance in plasma storage. Five models offer cabinet sizes to meet a variety of space needs and storage volume requirements. Store and protect the optimum capacity of the most critical samples with a Thermo Scientific Revco Freezer. Find Revco Freezers and more at online auctions and classified ads on LabX.